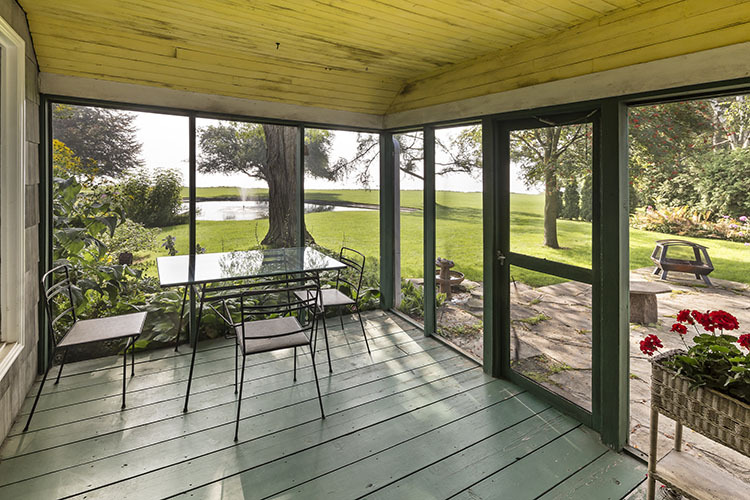 Fool’s Paradise was the home and studio of Canadian landscape artist, writer and educator Doris McCarthy (1910-2010). 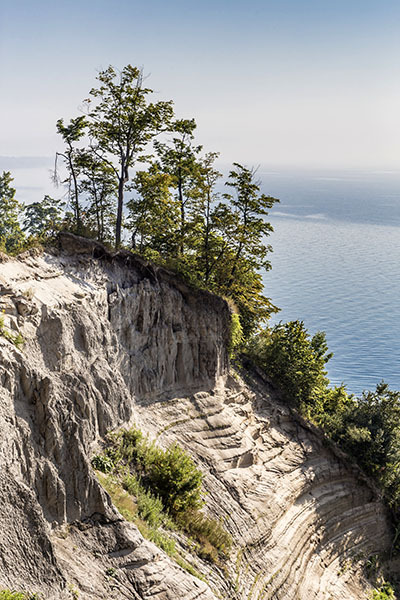 The site overlooks Lake Ontario along Toronto’s Scarborough Bluffs. 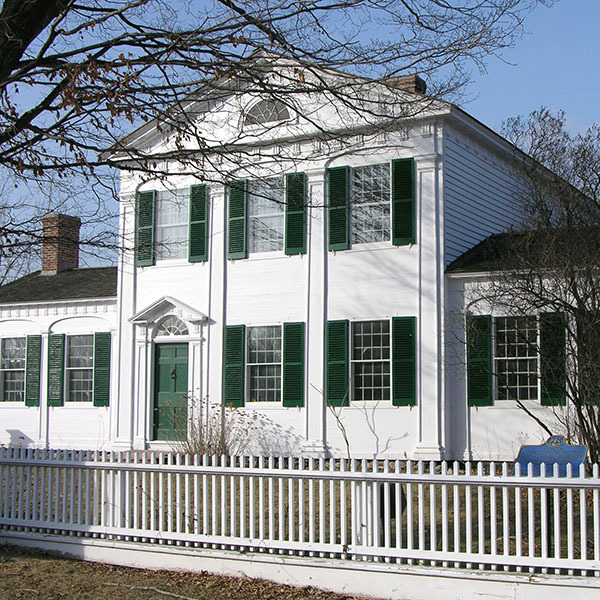 McCarthy first visited the property during a sketching trip in November 1939. 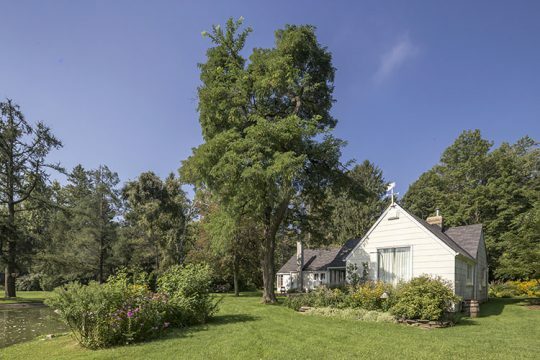 She was immediately inspired by the landscape views and picturesque setting, and purchased the property for $1,250. 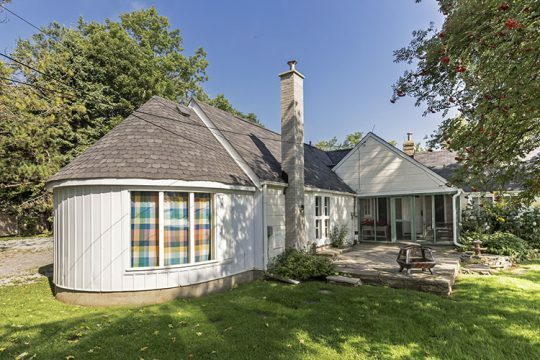 In 1940, she had a small cottage constructed on the site by local builder Forest Telfer. McCarthy’s mother, Mary Jane, saw the purchase as extravagant, referring to it as “that fool’s paradise of yours.” The name stuck in McCarthy’s mind and the property soon became known as Fool’s Paradise. 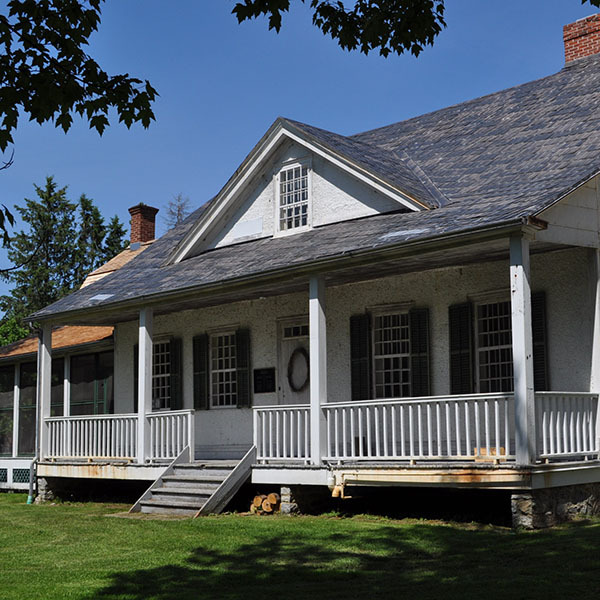 Originally, the cottage was a summer retreat, but it became her permanent home in 1946. Fool’s Paradise evolved and grew over McCarthy’s time there, guided by her personal preferences. The one-storey wood frame structure comprises attached wings off the central small studio, kitchen, bathroom and bedroom. The interior of Fool’s Paradise follows an irregular layout, as wings have been added to the original cottage over the years. The living/dining room has high vaulted ceilings with exposed pine beams. A large studio has a wood-burning Franklin stove. There are large built-in cabinets for storage of paintings and art supplies. A clever pulley device is in place at either end of the studio that McCarthy constructed to lift her large paintings so she could stand back and view them. The physical surroundings of Fool’s Paradise are spectacular and inspiring. 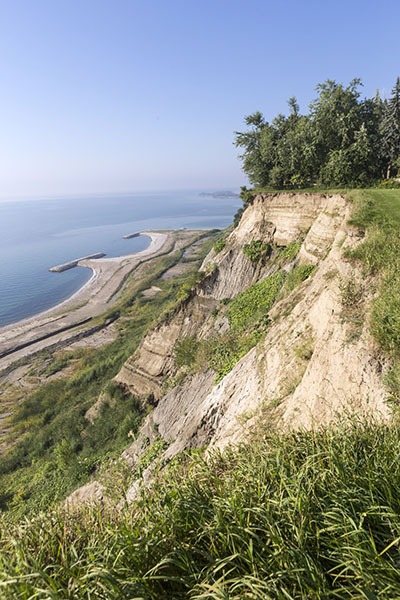 The height of the Bluffs at Fool’s Paradise is 57 metres (187 feet). The area boasts wonderful views, mature trees, a pond, open space with expansive vistas and majestic bluffs overlooking Lake Ontario. Quiet, isolated and picturesque, the site is just 30 minutes (21 kilometres or 13 miles) from downtown Toronto. 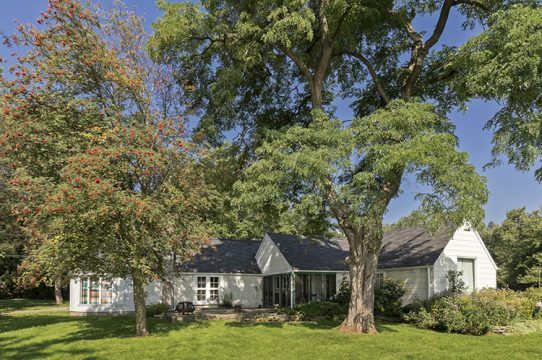 The house is set back from the Bluffs by more than 60 metres (200 feet) of landscaped lawn. Flowerbeds and shrubbery along with fruit, pine, spruce and maple trees planted on the property by McCarthy continue to thrive. 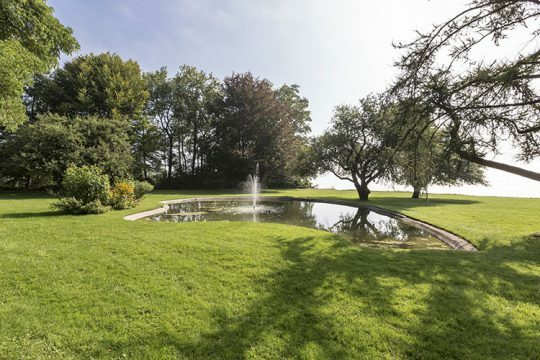 A pond was added east of the house in 1964 to reflect the beautiful sky and sunlight. A fountain designed by Bailey Leslie is located to the south of the stone patio, adding to the serenity of the site. Doris McCarthy was committed to the conservation and stewardship of her scenic property. 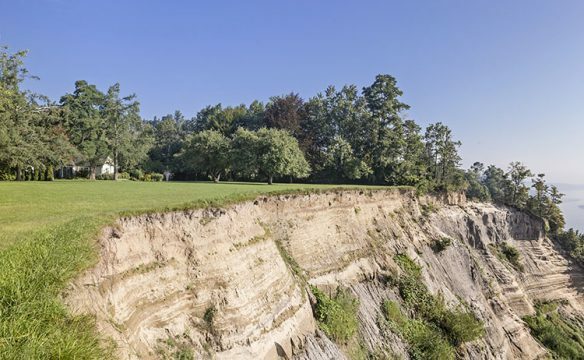 In 1986, she donated seven acres (approximately two hectares) of ravine land on the east side of Fool’s Paradise to the Toronto and Region Conservation Authority (TRCA) to help with erosion control. 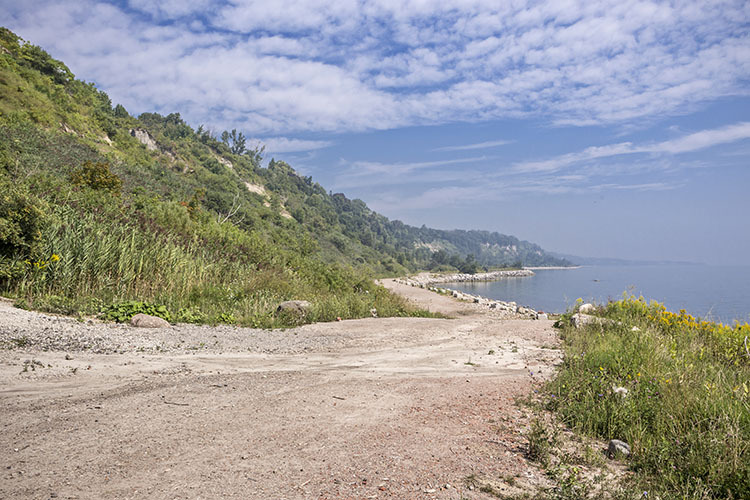 A walking trail was created in the ravine by the TRCA and was officially named Doris McCarthy Trail. 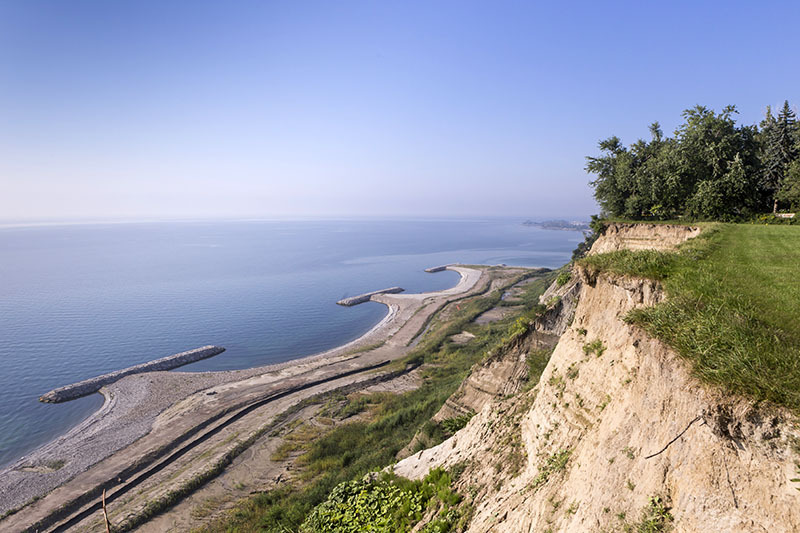 The trail ends at a peninsula visible from the Bluffs that is the site of a large public sculpture erected in McCarthy’s honour. 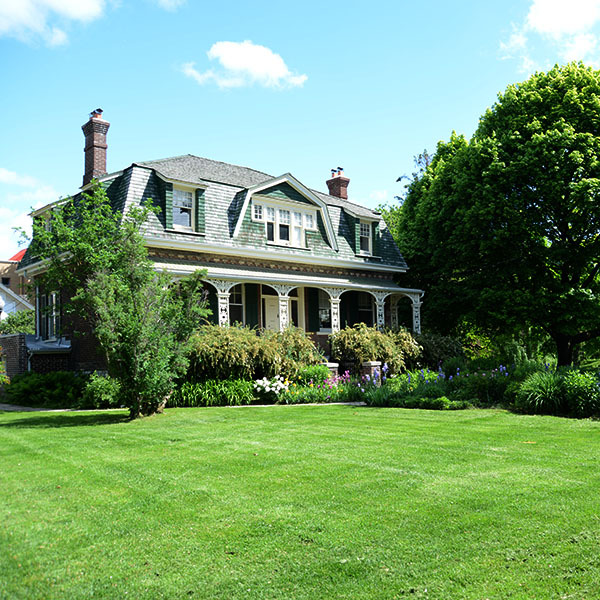 In 1998, McCarthy donated Fool’s Paradise to the Ontario Heritage Trust, while maintaining a life residency. In 2004, the Doris McCarthy Gallery opened at the University of Toronto Scarborough campus and is the repository of a large collection of her works, along with her personal papers. Following her death in 2010, the Trust established the Doris McCarthy Artist-in-Residence Centre on the property.